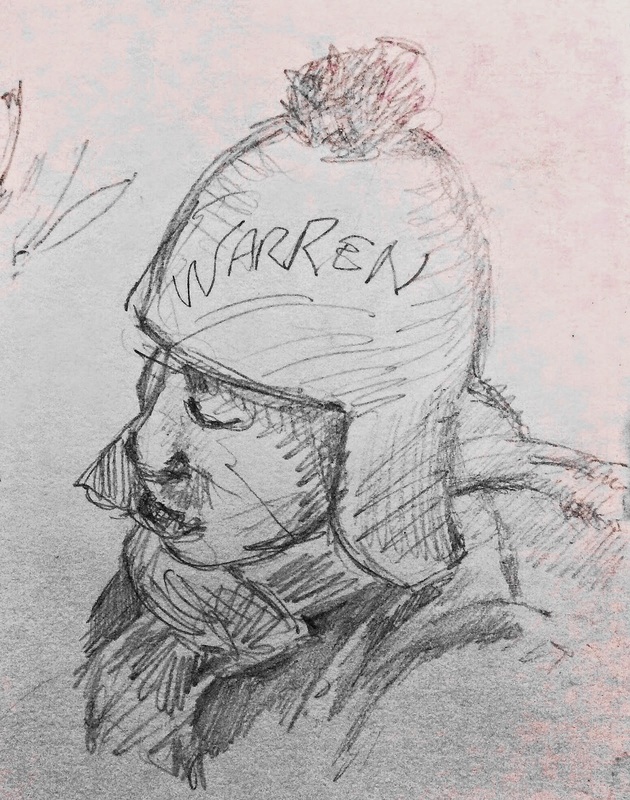 Tonight I had a chance to pencil off Warren as he sat along side of me at work. In my little sketch book, with an HB pencil, and a quick eye! Below I include one without needing that eye, just a copy off of a book cover lying close by. A little practice is all! 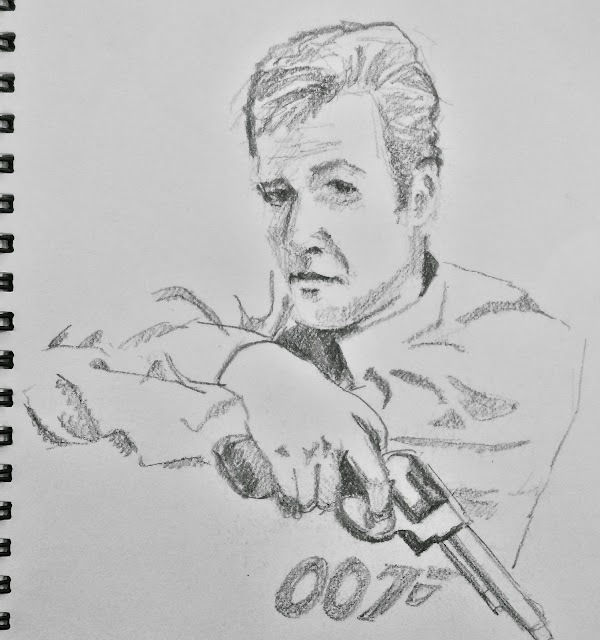 007 but which one?